Derrick Lewis is a hero. Maybe the best way to unite America during these trying times is to replace the American Bald Eagle with the American Black Beast on all official US documents. When not saving Hurricane victims in his hometown of Houston during Hurricane Harvey, Lewis is hanging out in the comment sections on MMA websites. Lewis reads MiddleEasy, probably FloCombat, perhaps MMAFighting and it looks like MMAJunkie. More or less all respectable MMA news gathering publications of record are read daily by Lewis. 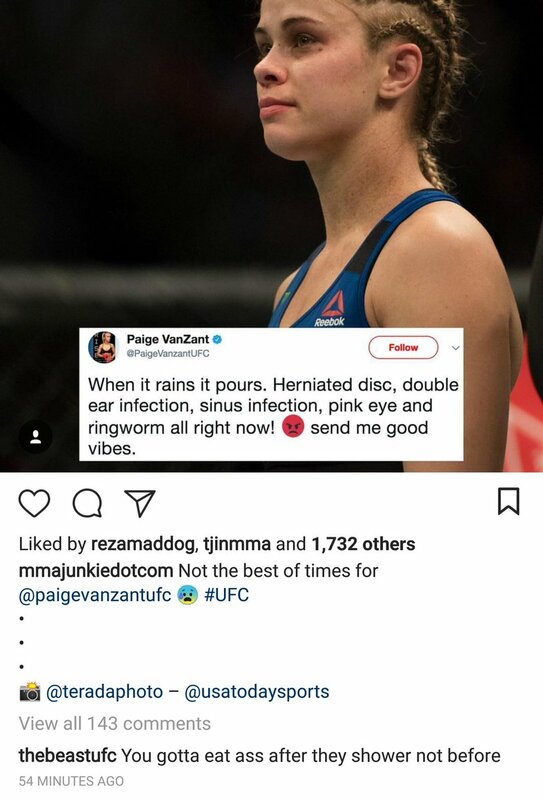 Swiping down on his Instagram feed, Derrick Lewis was alerted of a Paige VanZant’s tweet about her pulling out of UFC 216 with a plethora of injuries. 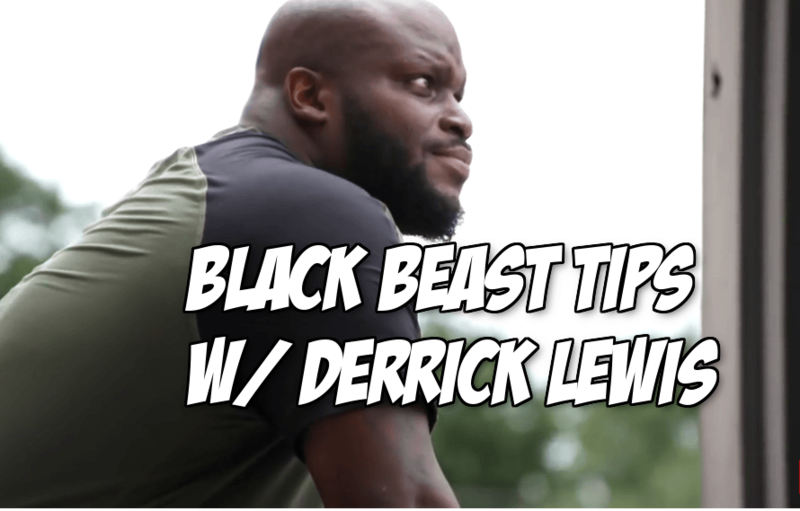 Like any good real American hero The Black Beast sprung into action to offer life advice.